Yesterday came news that the home-price index fell to its lowest point since 2002. It appears that now is a great time to invest in real estate! Didn’t we hear the same thing last month and the month before? Are the people that invested last month suckers? I’m sure we all know the drill: Home prices go up? Great time to buy! Home prices drop? Great time to buy! 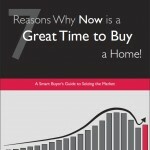 Apparently it is always a great time to buy a home. However, we need to take a step back to see what we really need to see. Rather than considering the state of the entire economy, you should instead consider your personal economy. It starts out with managing your expectations. Do you even want to buy a home? If so, do you want to live in it or use it as an investment? The third point is really the key. Obviously you have to make sure you can qualify for a home, but once that part is settled you have to determine at what price point you want to pay. That way, regardless if the value of your home rises or drops, you are at the exact price point that you wanted and planned to pay. If you find a home that you want and it is at the exact price you want to pay, then it is a great time to buy a house for you. Forget whether it is a great time or not for anyone else. Remember, those that are chasing the “bottom” of the market will always be disappointed. There is no way to tell if the housing market has hit the bottom until it is well past that point. Set realistic expectations and you’ll know exactly when it is the right time for you to buy a home. So what about buying land? Any tips for that? Buying land is a little trickier because it does require quite a bit more personal drive and vision to really tap the potential of undeveloped or under-developed land. For example, eventually I want to buy some land to build a custom home on. I will have to consider the price of the land itself, the cost of building a home, the time to build a home, city ordinances, possible delays, etc. which is a lot more than most want to deal with. From there I have to decide for myself if the time + effort + cost is within my expectations. Then again I could buy a plot of land, put a mobile home in the middle and save a bunch of money. But that’s not what I want for myself. If you want to buy land for commercial purposes to make money, then you’ll have to do some number crunching to see if the cost of the land will be less than the potential returns from business. Then there are issues of location in terms of customers, zoning, and taxes. Banks also require a bit more experience in business and many would require a fully laid out business plan before they approve loans to buy land for commercial purposes. As an investment to hold land that can one day be re-sold at a higher price, that is really tricky. You’ll have to plan ahead and calculate the possibilities, but a lot of it is a gamble. I remember when the North Valleys and Spanish Springs were going to be the next huge booms here in Reno, but the market crash prevented the full potential from being realized. I believe that land is one of those limited resources. There is only a limited amount of space to go around. 54 acres? Wow! Good luck with that if you decide to do it.